When you first see one of the new Szanto Watches, you may not recognize the brand, but you might find something reassuringly familiar in their retro design. The name is decidedly old world, and the watches have a warm, vintage charm with colors and textures that create the illusion of patina. There is a bit of post-war field watch, some WW2 aviators' influence, and perhaps a touch of pre-war American pocket watch in the mix. It is an attractive collection, made all the more so by its price. MSRP ranges from $195-350. So with that introduction, you are probably asking the same question I did: "What the heck is a Szanto?" It is a new venture by industry veteran, Barry Cohen. 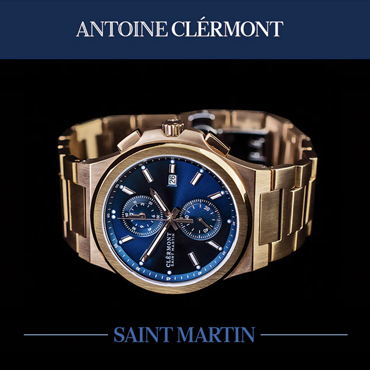 He is a co-founder of the immensely successful Luminox brand; however, Szanto is a completely independent company. Consider it his "solo album," if you will. 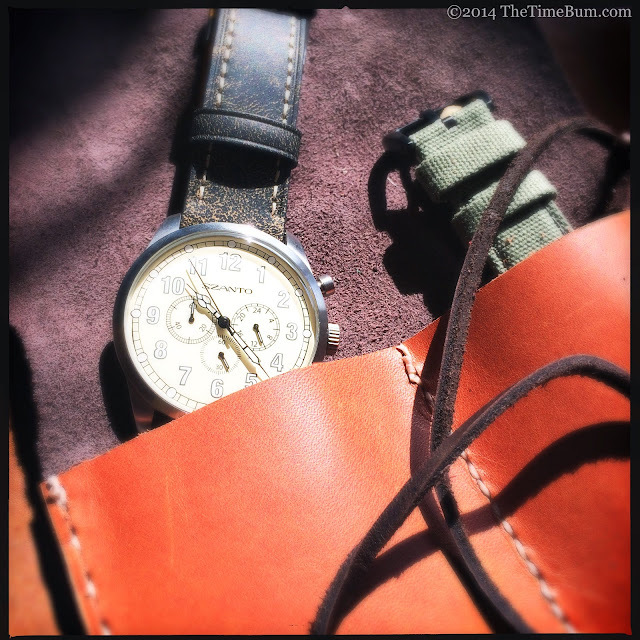 The idea came when a friend of his showed him a vintage watch that he had just purchased. "I loved its character," Barry explained, "and he suggested it might be a good idea to contemporize old designs for today." The name also has personal significance. "We had a list of about 20 or 30 names but none were really sticking out," said Barry. Setting them aside, he suggested Szanto (sahn-tow), an old family name of Hungarian origin. 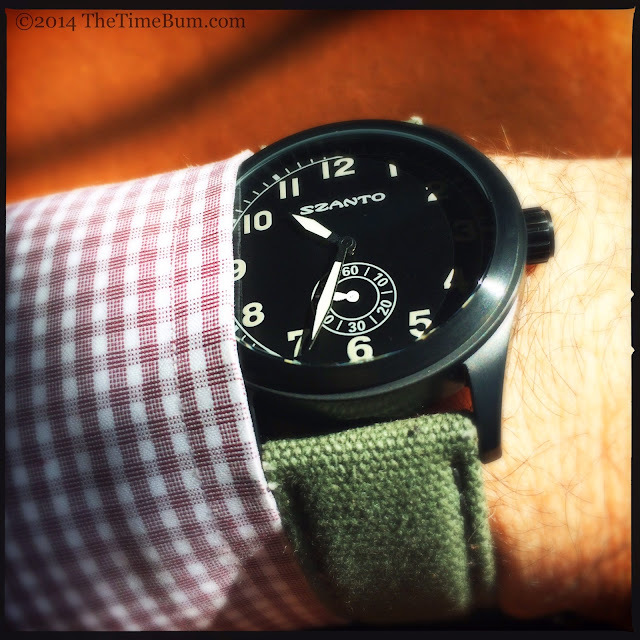 The Szanto line incorporates several elements to create vintage style watches at a budget friendly price. The entire range uses workhorse Miyota quartz movements to minimize cost and maintenance, although Barry does not rule out the possibility of a hand wound model in the future. They are significantly larger than most vintage pieces. Well into the 1960's, the majority of men's watches were smaller than 38mm. Through the 1950's, cases hovering around 30mm were not uncommon. Charming as they may be, not everyone can pull off a nickel-sized wristwatch. The Szanto line maintains more contemporary proportions. "It does seem that case sizes are finally getting a bit smaller than they had been," he says, "but I doubt we will see very small sizes again. 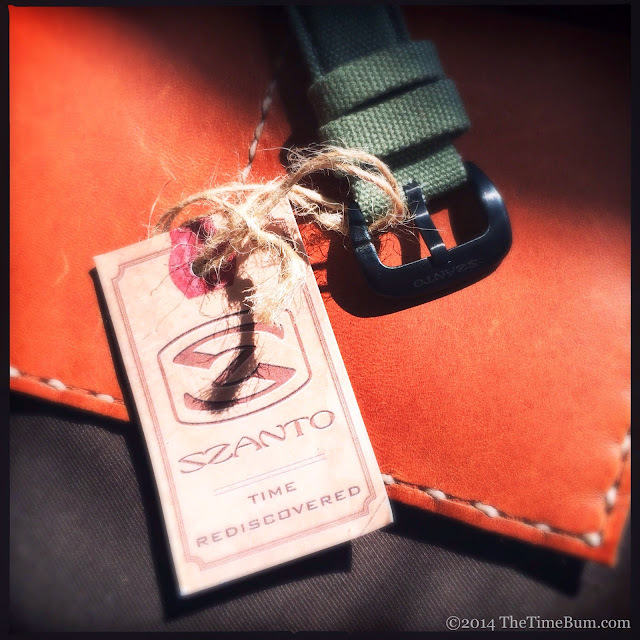 Our mission with Szanto was to offer the look of yesteryear with the size of today's timepieces. 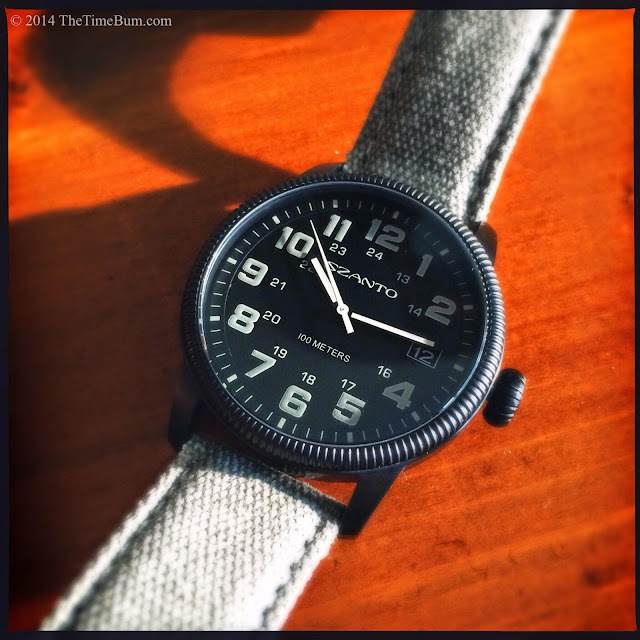 So ours will not be very small pieces, but rather mostly in the 42 - 46mm range." The designs borrow liberally from a broad range of pre- and post-war watches, incorporating such details as coin edged bezels, onion crowns, and poire squelette hands. Colors are muted: black, grey, tan, ivory, and olive. There is precious little bright white to betray their newness. Indices are grey and tan, like aged lume. The straps are weathered canvas and leather. Barry is particularly fond of the distressed elements and the patina effect they have achieved. The only real deviation from this formula are the 5000 series dive watches, which share the muted tones, but have a more contemporary appearance. A second dive series is currently in the works for a September release. 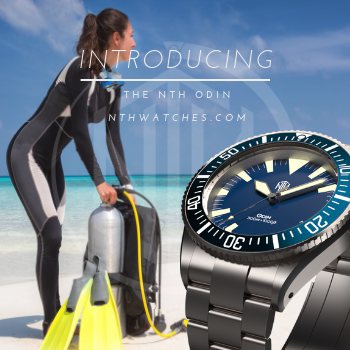 Barry describes it as "a vintage rugged dive design and 500 meters water resistance on either a water proof leather strap or solid link bracelet." 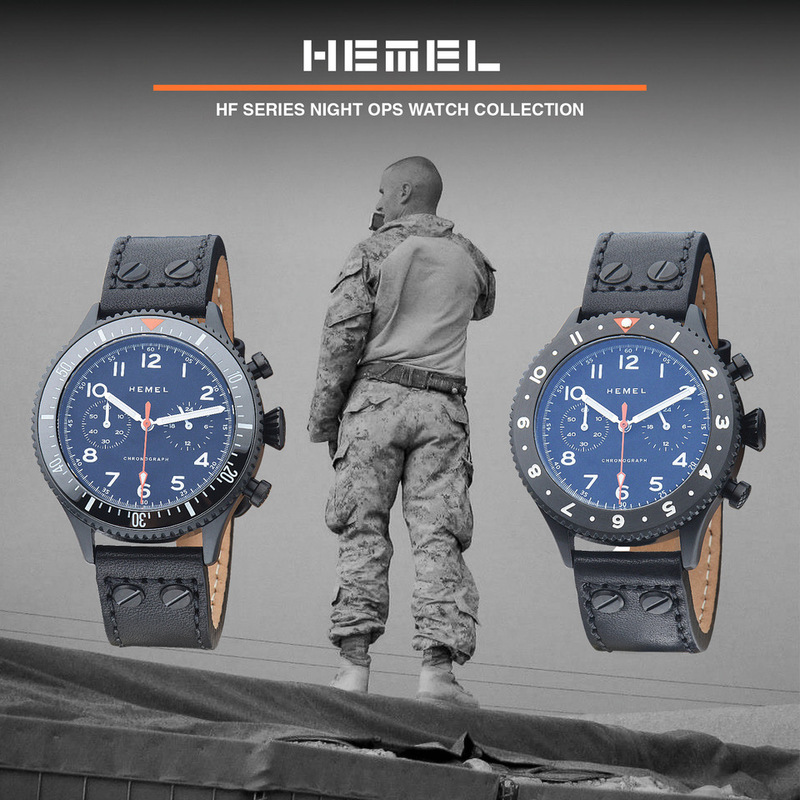 The current range includes the 1000 and 1100 series field watches; the 1200, 2200, and 2250 series pilots watches; the 2000 series chronographs; and the 5000 series divers. There are 22 models currently available and another 17-20 due by year end. June will see the release of five new lines, including three models with an antique bronze finish. "We looked at using solid bronze but it was a bit too expensive for us to hit our target price and remain affordable." Barry explained, "So these are steel with a bronze plating and have a nice mottled aged appearance." Szanto sent a healthy selection of watches to Time Bum Laboratories for hands on evaluation, and I will be posting comprehensive reviews in the coming days. 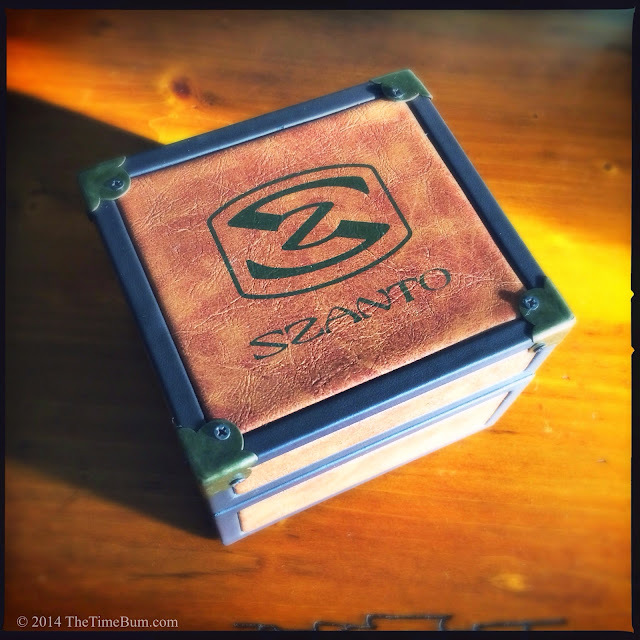 They arrived in watch boxes that resembled steamer trunks, complete with metal bumpers screwed into the corners. Inside, the watches had with brown card-stock hang tags tied to their buckles with twine, further enhancing the illusion. I confess, watch boxes invariably end up at the bottom of my closet, but I can appreciate clever packaging when I see it. The brand has much to offer. Purists may decry the quartz movements and faux-retro appearance but not everyone wants the cost and maintenance associated with a vintage timepiece. By incorporating an antique aesthetic into a modern watch, Szanto will likely scratch that itch for many who are not yet prepared to dive into the vintage market, and may provide a gateway into our hobby for those who appreciate an old fashioned look, but currently rely on their cell phones to tell time. The company web site is not yet active, but you can find more information on their Facebook page, http://www.facebook.com/Szanto. 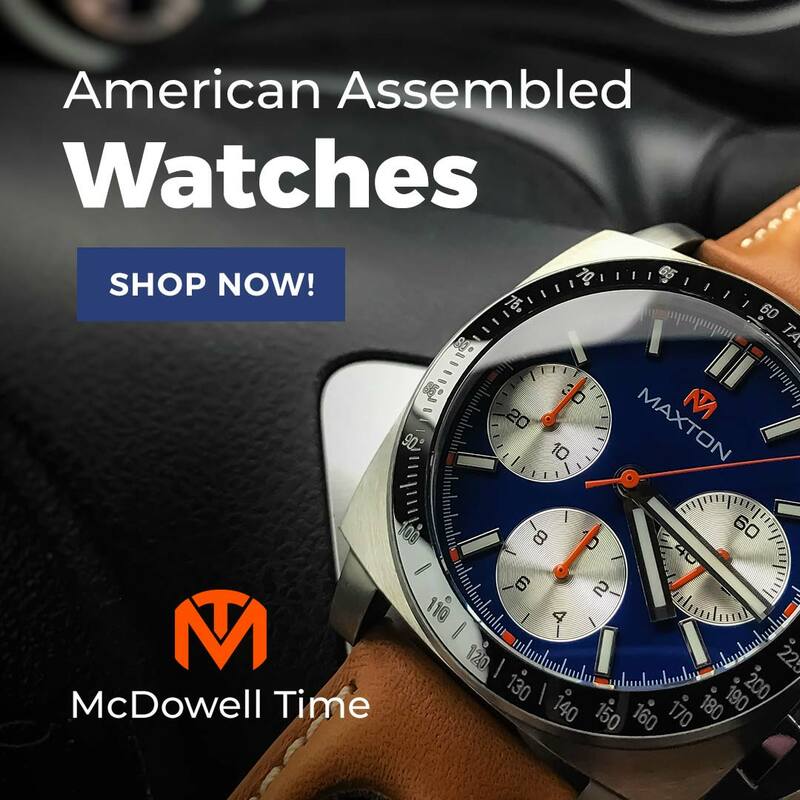 The watches are available for sale at a number of stores and online retailers. 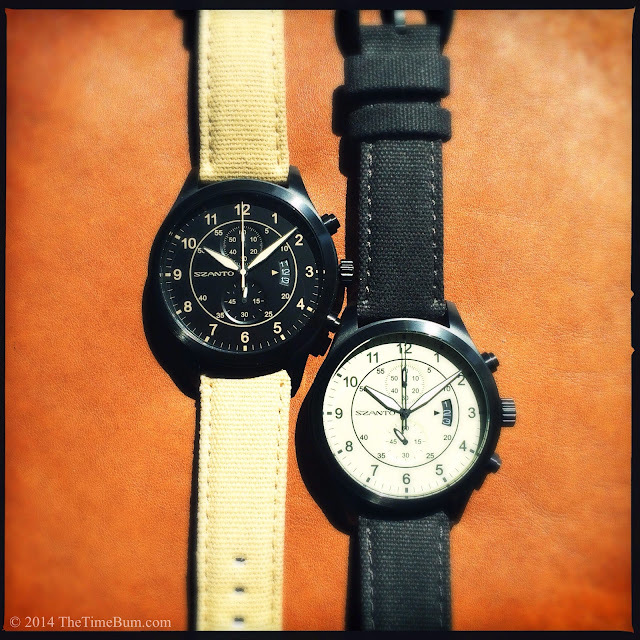 The Szanto approach is certainly intriguing, and has produced some great looking watches. Stay tuned to see if they earn the coveted Time Bum Seal of Approval.